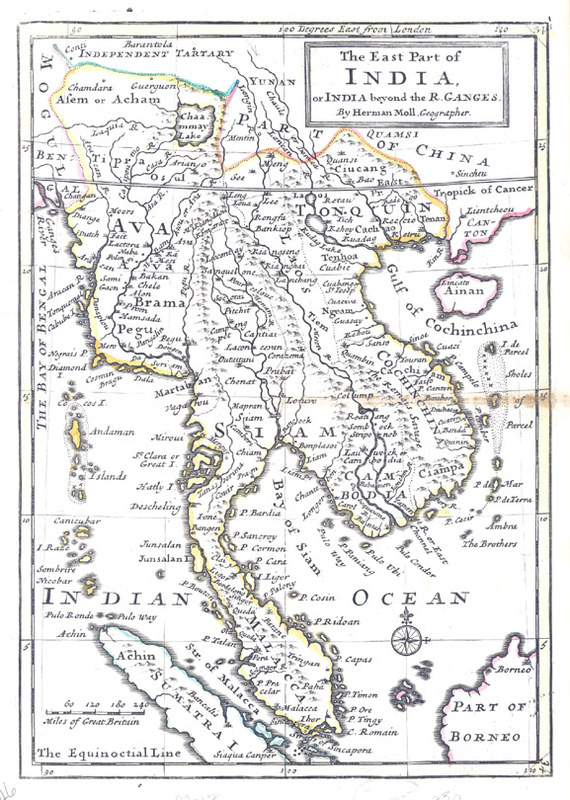 In 1702 the East India Company set up a settlement on this island off the coast of Vietnam. It was named Pulo Condor from its Malay name. The Vietnamese call it Con Son. It was destroyed in 1705 with all the Europeans being massacred. At first it was thought that local Vietnamese were behind the atrocity; perhaps as a result of a misunderstanding over the terms of the lease, or perhaps the quantity of goods and cash was just too tempting. However, it seems that the actual perpetrators were more likely to have been the Bugis mercenaries hired from Borneo to protect the station itself. It seems as if their contract was due to be completed only for the East India Company to go back on their agreement to return the men home with full pay. It seems as if the Bugis mutinied and murdered all the companymen. They did have a reputation for running amok. It seems as if a group of Bugis mutinied similarly in Siam in the 1680s. 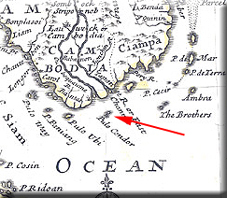 Pulo Condor would later become famous, or rather infamous, as a French penal colony. The Americans also used it as a prison island.